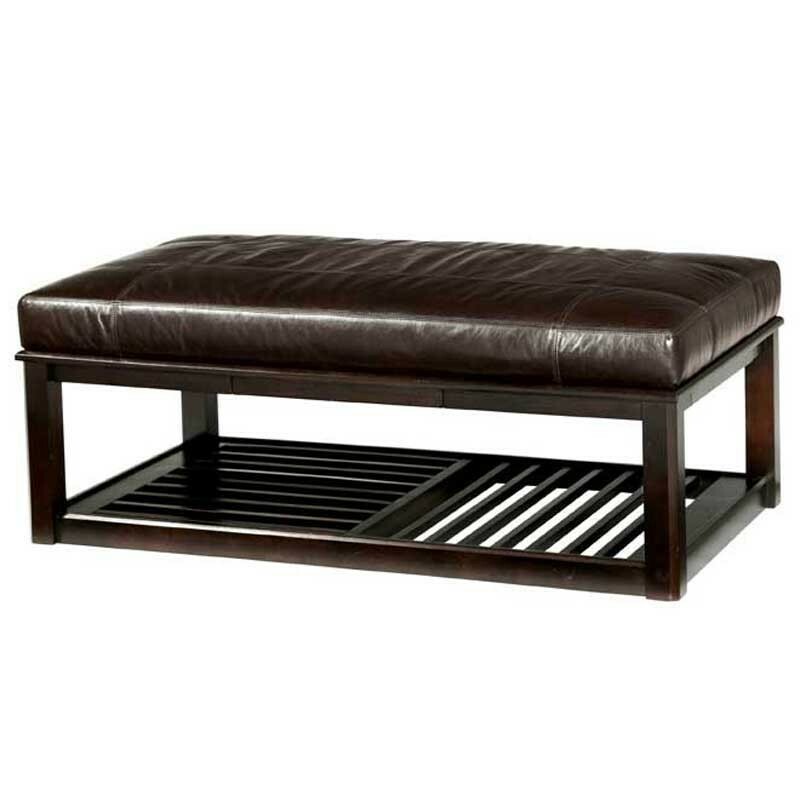 Decor You Adore: Cocktail Ottoman Before & After-Fun, Frugal & Fabulous! 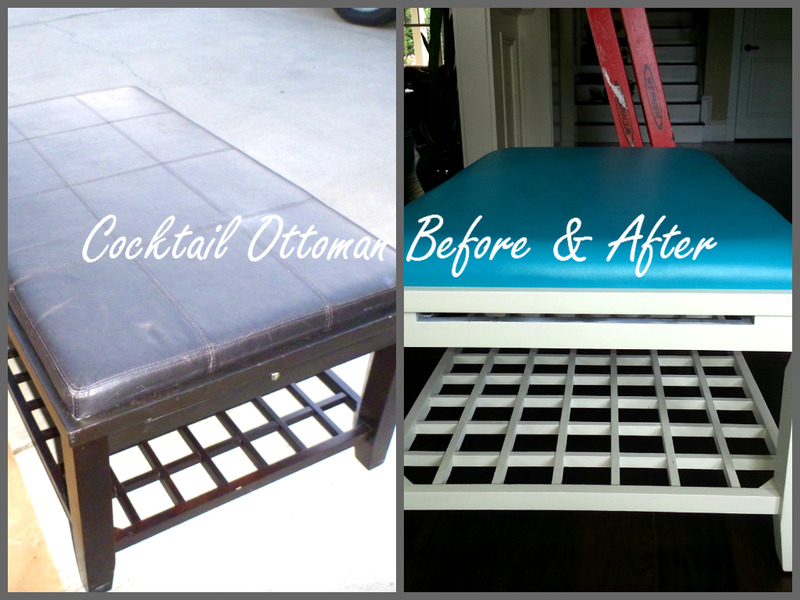 Cocktail Ottoman Before & After-Fun, Frugal & Fabulous! While shopping at my favorite boutique aka Goodwill, I came across a slightly beat up cocktail ottoman for $36. After snapping a quick picture in my driveway, I quickly unscrewed the top and began painting. 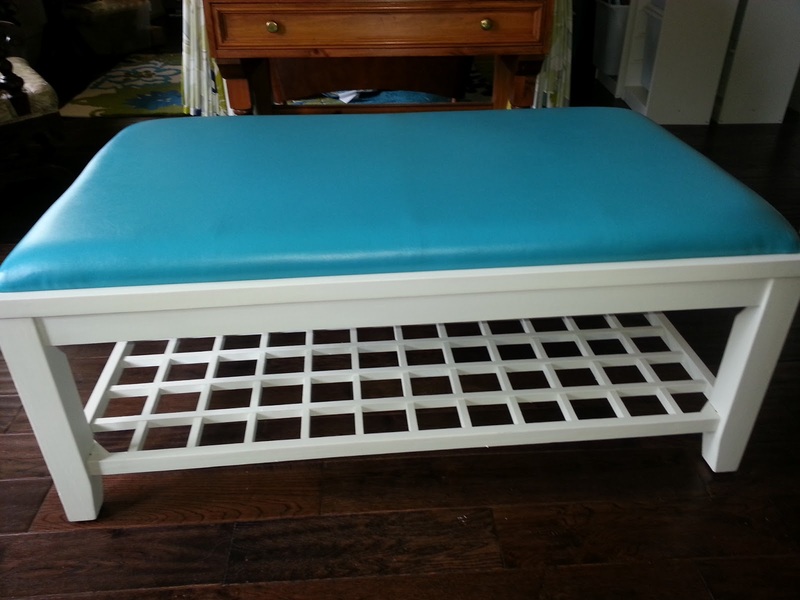 After removing the cushion, I primed and painted the base with Benjamin Moore's White Dove. If you listen carefully, you can hear my disdain for my newly acquired coffee table. Turns out, those squares are a pain in the rump to paint. I told Catherine that the paint department requested a raise. 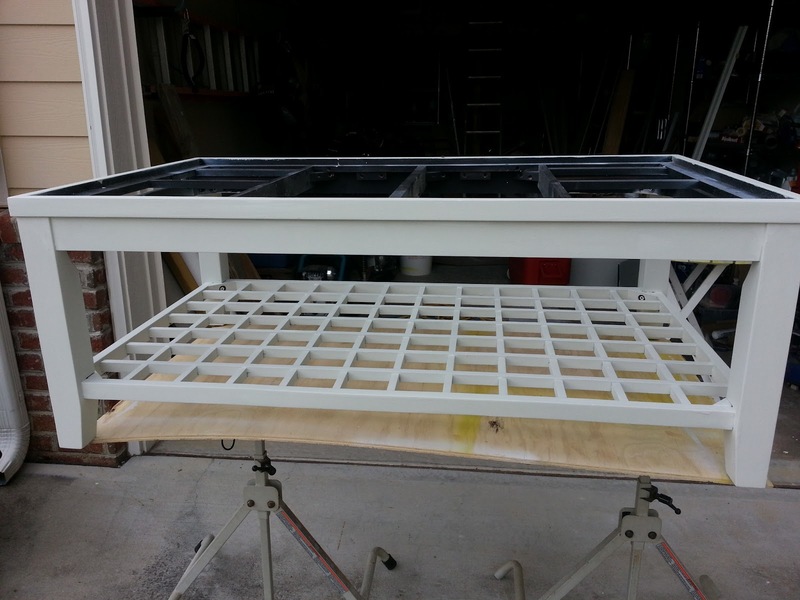 After five hours of painting these grids, I was ready for a shopping trip. 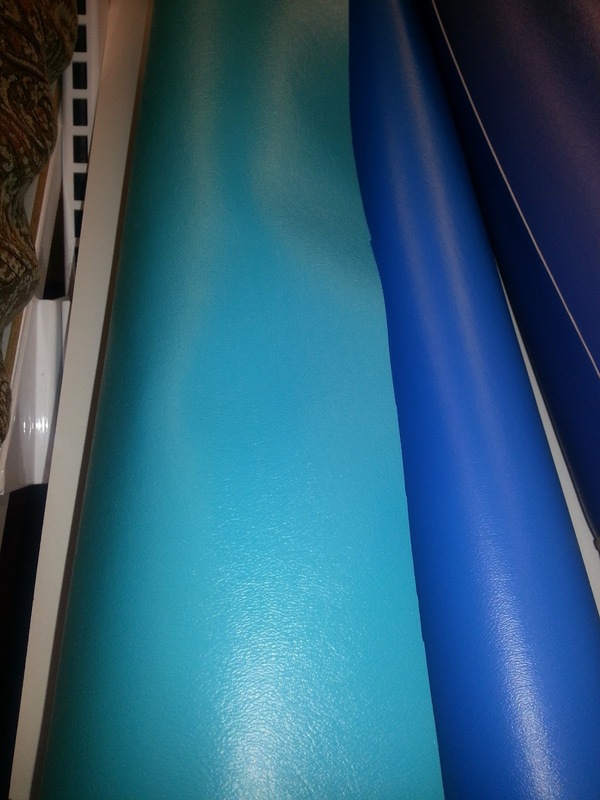 At Jo Ann's I found this fun aqua vinyl to recover the top. It was under $20 with their coupon. It's thick enough to completely hide the seamed, damaged, vinyl that was previously the brown, drab top. It's going to look great in the playroom we are designing. 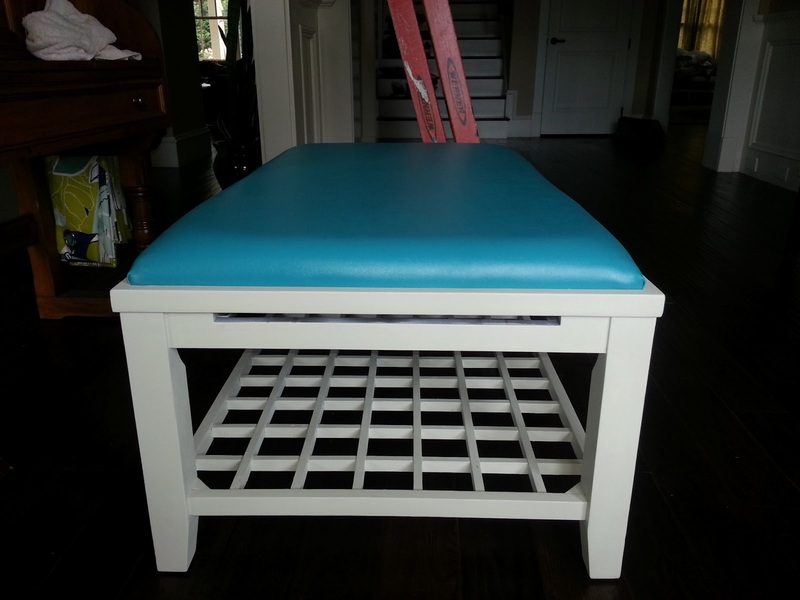 After a couple of coats of paint and a shiny new top, this cocktail ottoman will be the perfect addition to our client's playroom. 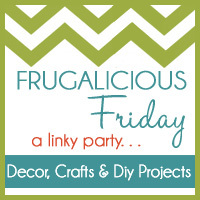 Now that's what I call, fun, frugal, and fabulous! (Note: after such hard work, this is no time for humility!) Stay tuned for the big reveal of the playroom project! WE.CAN'T.WAIT! Linking up with Creations by Kara!